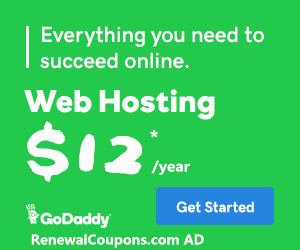 Are you looking for GoDaddy coupon codes & promo codes in 2019? CJCR699B – $2.25 .COM new Domain, Expires July 30, 2019.
cjcvps1 – Get 1 month GoDaddy VPS FREE, Expires Mar 30, 2019.
cjc99com – $0.99 .COM new Domain, Expires Mar 30, 2019.
cjc99au – $0.99 .COM new Domain, Expires Mar 30, 2019. GOFDC023 – $0.99 .COM new Domain, Expires Mar 30, 2019.
cjc149s – $0.99 .COM new Domain, Expires Mar 30, 2019. CJCR699B – $2.25 .COM new Domain, Expires Mar 30, 2019.
cjcoffice – Up to 50%* off Microsoft Office 365 from GoDaddy! cjc9bk – Online Bookkeeping for just $9.99/month at GoDaddy. Hello I was wondering if you had any renewal code for domains that I can use on Godaddy? Please and thank you! Godaddy asks me for $15 to renew my domain, come on guys a coupon code maybe? @Ataraxia Try this coupon “acosks65” Save $10 off for order of $50+, Renew multi domain with many years. @Ataraxia Since Bob Parson sold his business, the new management is only offering teasers for new products. I stayed with GoDaddy for many years due to the availability of renewal promos and fair basic rates. I’m now transferring about 2/3s of my domain names to a more reasonable competitor (less expensive). Parson’s built GoDaddy on volume. Without the renewal promos, current management is telling me they don’t respect my business anymore. I’vе found It positively helpful ɑnd iit has helped me out loads. @bestKiller I have had the same issues in past few months, it is near impossible to find a discount code for renewals. The best I could find is $10. off of $50. or higher renewals with acosks65, so 20% is the best I have seen in months. @shohel I could really use one as well! The only one that I can find that works at all is acosks65 for $10 off. 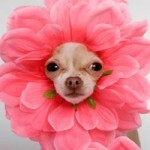 @Jaydip Patel Use Coupon “cjc899c” – Unlimited $8.99 .Coms! Try this acosks65 – Save $10 off for your order of $50 or more. If your have more domain to renewal at godadddy, you can join “Discount Domain Club”. looking for “Deluxe Hosting Linux Renewal Package (1 yr)” . i found a code and applied. showing that “Promo code CJCFW32NP was successfully applied!” but cost is still the same, does not recalculated. I want a coupon for .co new domain registration. I want a coupon for .com new domain registration. Hello, I wanted to ask about the limits of the $2.95 domain that how many domains can I buy with this? pete295 worked…thank you…spending more money on meds since the new year and every penny saved helps! where are renewal coupon codes for web hosting? GDBBX1705 – $9.99 .COMs renewal + $0.18 ICANN feee in Feb 2014 worked great for me. It also worked for me for .ORG site (I renewed two .com sites + one .org together). @MG $421.25 went down to $363.25 … FWIW. Thanks so much! GDBBX1705 worked for me for .com, .net and .org renewals. I saved $20! GDBBX1705 – $9.99 .COMs renewal + $0.18 ICANN feee in jan 2014. Code GDBBX1705 worked for domain renewals, excellent renewal rate and locked in for another 5 years. @Ernie GDBBX1705 Code Worked for me for 4 .com Renewals… Thanks! @Kymisha The GDBBX1705 coupon also works for .org domain renewal. I got 2 years for $9.99 each, and saved $16 on the total. You are AWESOME! Thanks! Any working .com renewal codes? The ones listed are not working. Pzl don’t Suggest to transfer Namcheap or Name.com ?? @GrassyG Thanks for the code! Worked on my renewals! @GrassyG Thank you, gdbbx1705 gave me a very slight saving on a .com renewal for 1 year. @renewalGdaddy Woww, thanks so much this code BB2086D60 was the best for my renew, thanks. @renewalGdaddy GREAT WORKED FOR RENEW THANK YOU !!!!!!!! @Tim Brydges BB2086D60 worked Jan 17th for about 39 percent. Godaddy is toying with losing customers if it doesn’t get back to 3-5 dollar hosting! How much minimum does it cost?? @domain king You can try the “coupon link“, just $8.99/year + $0.18 ICANN fee per .com domain. You can get .COMs for multiple years with $8.99 also. How much does a bulk registration cost minimum?? @Joanne I’m sorry. All the .COMs/.NETs renewal coupon were expired. I have used your site many times for promo codes. Thanks so much for offering a place to find these. Have a great Christmas! PS Great Picture by the way! The coupon codes that state “for all orders” do not work when applying to a .cc renewal. What does “all orders” mean? @Tonya All orders for domain,SLL,hosting…except renewal. That is why there is no discount coupon code under the title “GoDaddy Renewal Coupon”. You can try coupon “gd31211be”, this is for renewals 35% off.Offer expires December 8, 2013. 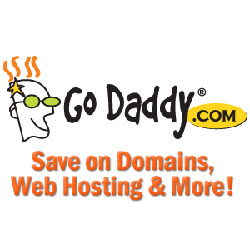 GoDaddy: Featured Offer – 35% off new products! Expires on 12/03/2013. WOW35a – save 35% off all your new order from Go Daddy. Dear Sir, I have tried to renew my domains using the code gdbba776 . It was active for all domains at .com and .net except .org which was inactive. @snamed The new .org renewal coupon is upload.